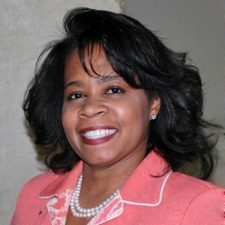 Leslie T. Thornton is Senior Vice President, General Counsel & Secretary of WGL Holdings Inc. and Washington Gas where she provides advice and counsel on all legal matters including litigation, data privacy and cyber-security, state and federal regulatory issues, employment and labor law, compliance, mergers and acquisitions, and board support. Leslie serves on the CEO’s Strategy Council, Risk Management Committee, and co-chairs WGL’s Security Committee, among others. Currently, she is helping to lead WGL through its $6.4 billion merger with an international energy infrastructure company. Leslie began her legal career in public service with the D.C. Public Defender Service, held partnerships in two Washington D.C. law firms, and served eight years in the Clinton Administration including the 1992 Presidential Transition where she co-chaired the DOJ appointments search, and the 1996 Presidential Debate Team, among other positions. Holding a top secret clearance, Leslie was also her agency’s representative for the Continuity of Operations of Government program. A 2017 Burton Legend in Law recipient, Leslie is also humbled by a number of other recognitions including the 2016 MCCA's Innovator Award, Savoy Magazine’s top 300 Directors recognition, InsideCounsel's Transformative Leadership "Catalyst for Change Award,” ACC NCR’s 2016 Community Service Award for her department’s work, and ACC’s individual award for community commitment. In late 2017, Leslie was named one of the 300 Most Influential African Americans in Corporate America by BLACK ENTERPRISE. Leslie graduated from the University of Pennsylvania and Georgetown Law, returning to Georgetown Law a few years ago to obtain her L.L.M in National Security Law. An NACD Board Leadership Fellow, she has also served the board of Career Education for thirteen years.